This one was kinda of funny though. The internet, and therefore the world, is full of haters. If you follow the NBA at any rate, you know Lebron has a plethora of haters. Initially The Decision bought most of that on, but now it’s just in vogue to be a darn hater! Cats talking out of both sides of their neck claiming Bron to be the dopest to ever lace up a pair of Nike’s and in the next breath they going H.A.M. about his play in the 4th qt or his hairline. Last night was now exception. The jokes about LBJ’s headband came fast and hard with everyone trying to create the meme that got them 30 secs of internet glory. Have a stadium full of seats s/o to Tamar. There’s a fine line between good ol’ fashioned trash talk and being a hater, a lot you people were Robin Thicke last night. Don’t stop playing til’ the clock reads all zeroes. With all of the extenuating circumstances surrounding the end of Game 6, it would have been easy for the Heat to be mentally defeated. Instead, they kept attacking and playing hard. They kept doing the things that made them successful even when it looked like they should give up hope. Heck, Ray Allen only had 9 points in the game and was like 0 for everything but shot the rock like he was 6 for 6, where you heard of that? The overarching theme from both teams was it pays to have a good system and its even better when you believe in it. Luck is what happens when the right place at the right time meets dedication and preparation. It does you no good to be in the right place at the right time if you’re not dedicated and prepared. If you trying to get that rap career started and meet Puffy at the club, you betta have a demo and press kit on hand. So what folks clown you for carrying that stuff around everyday. Ask Kanye about the benefit of staying ready. We cannot always control the position we are in but we can control what we do in that position. Luck is what happens when preparation meets opportunity and by that definition, luck is not as random as it may seem. With all that, I can’t wait for Game 7. I think the Heat will finally win two in a row and win back-to-back championships. However, the only thing that really matters is #GOBULLS!! What did you think about the game last night? Do you think the NBA is fixed? 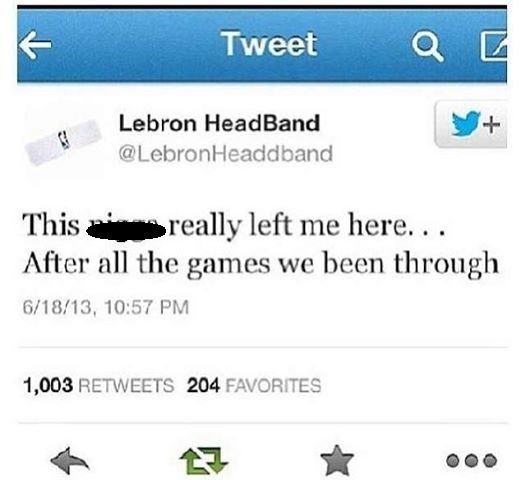 Where the jokes about Bron and his headband funny or corny? Who do you think will win the series? What was better game 6 or episode 9 of Game of Thrones? 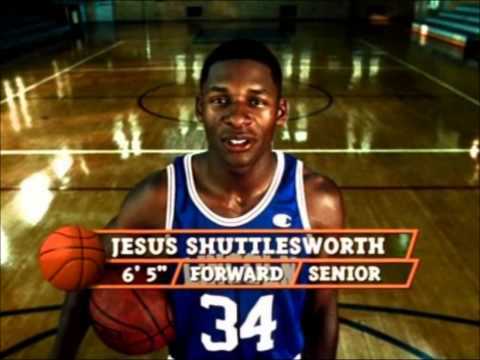 Tags: Episode 9 Game of Thrones, Game 6 of the NBA Finals, He Got Game, Jesus Shuttlesworth, Lebron James, Lebron's headband, NBA conspiracy, NBA FInals, Ray Allen, The Decision. Bookmark the permalink. Previous post ← I’m Miss Right…why am I single? The best part about a conspiracy is that there is always some measure of truth in it, but ultimately it’s about how much plausibility surrounds the conspiracy. See, the reality is that we can never know if the NBA is fixed or if the #Blackhand, as I like to refer to Stern, is actually the great puppeteer that I like to believe. However, what is known is that the collection of factual data can be pieced together to form a perfectly structured web of plausibility. Remember the horrific scene that was Sandy Hook? A couple of conflicting reports, suspicious video, and a well placed Connecticut bill that prohibits the release of any type of evidence… and we have plausibility. There are those who will believe that the massacre still occurred, there are others who believe beyond a shadow of doubt that it didn’t, and ultimately those of us in the middle have great debate about the likelihood that an event like that could actually be plausible. 9/11, JFK, MLK, etc…etc… all which the vast majority are clear in their view about what happened, but there is that billow of lingering smoke that gives people the opportunity, that while it is unlikely…it could very well be plausible. We could all present factual evidence that can be sewn together to make a conspiracy sound legit or foolish…and short of anyone coming out and openly confessing to it, we will always have the room to doubt. I believe that the league wanted a game 7. However, I don’t believe that Stern and the NBA has any vested interest in who wins. I also believe that the SPURS blew game 6 and an opportunity to win the championship last night. However, when the window was open to go into overtime, I believe that it’s plausible, that the game plan that the #Blackhand created prior to the game starting, was allowed to play out. In my opinion, the NBA is the WWE. Everyone acknowledges it as a business, everyone has a role they play in it, and at the end of the day…the goal is not to provide winners and losers…it is to provide great drama. 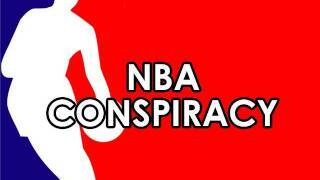 I think David Stern paid you to write this to help squash some of the conspiracy theorist out there. If he did, I would have woke up in a new Bugatti!! lol. The consipiracy is just one part of what I learned, but I see its the part that struck a cord the most. Reblogged this on The Mental Life of Raphael De La Ghetto. Thanks for the reblog homie.